Most of the health plans are offered both through Covered California and Off-Exchange directly from the carrier. Several carriers have plans that are not offered through Covered California at lower rates. Before getting an online quote, check to see what plans are offered in your county. If you are not eligible for the tax credit subsidy through Covered California, you will usually find a less expensive plan Off-Exchange. When you enter information into the system for an on-line quote: Your information will not be sold, transferred or shared with any other agents, brokers or agencies. 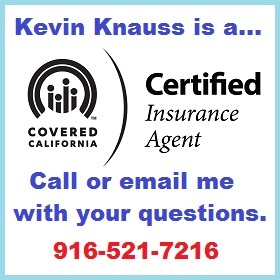 The only broker who will call you will be me, Kevin Knauss. Chinese Community Health Plan Link To Rates and Applications for Individuals and Families. L. A. Care Covered Link To Rates and Information. Molina Healthcare Link to Rates and Information. Sharp Health Plan Link to Rates and Application. Sutter Health Plus Link to Rates and Application. Valley Health Plan Link to Rates and Application. Dental For Everyone individual and family Delta Dental and VSP insurance plans. Medicare Supplement plans are offer Anthem Blue Cross, Blue Shield of California and AARP/United Health Care. You will only be able to get quotes for Anthem Blue Cross and Blue Shield of California. The others don’t have an on-line quote through the agent portal. However, a great source for Medicare Advantage quotes is Medicare.gov which will step through the process of getting quotes for Medicare Advantage Plans and stand alone Part D Prescription Drug plans. There is no on-line quoting tool for small groups at this time. It is fairly easy to generate a quote but we need a census of employees that includes: number of employees, zip codes and whether they will be covering just the employee, employee & spouse, employee & children or employee and family. Give me a call and we can get a quote stated with the basic information. 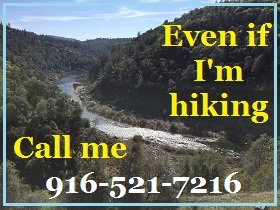 I can get quotes for a single carrier, Covered California for Small Business, and CalChoice exchange plans. Download and email Census Template for small group quote. Would someone over 65 qualify for Covered CA plans if they don’t have enough credits for medicare? 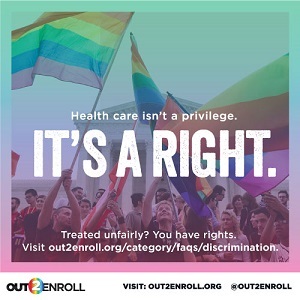 Yes, if you have not enrolled in Part A and must pay a premium amount for Part A, you can enroll in a Covered California plan. Here is Covered California outline of the process. Hi Kevin , thanks for wonderful site ! Anthem doesn’t seem to cover labs and x-rays on basic benefits ? And can we just stay on regular medical and not chose a plan ? Will take the person BIC card and bill medical and charge her or him the fee for service that would be at what cost ? 10 % ? The plans you refer to are Medi-Cal managed HMO (Health Maintenance Organization) health plans. Once you have chosen a plan, you have to select a Primary Care Physician (PCP) from the plans list. The medical group that the PCP is affiliated with will also – in most instances – be the medical group you are referred to for specialist care. There is no coverage if you go out of network with referral from your PCP. The PCP can refer you to other specialists if there are none in that medical group. One example might be mental health benefits. The PCP would refer you to one of the providers for mental health benefits that is contracted with the Medi-Cal HMO plan you chose. For MAGI Medi-Cal, which is based solely on your income, there should be no fee for labs or x-rays. Of course, the PCP or specialist would have to order the lab or x-ray before it would be covered. Virtually all health care decisions will have to go through the PCP if you want them covered.